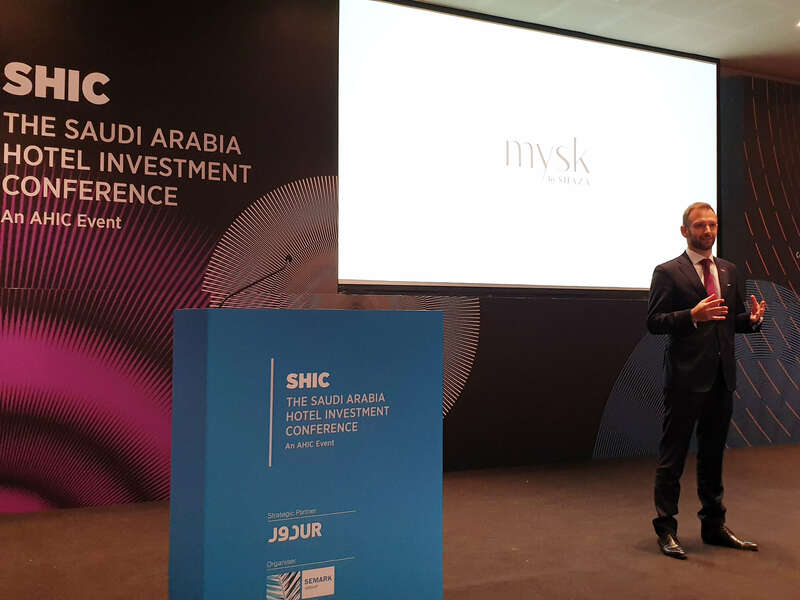 Chris Nader, Vice President – Development, Shaza Hotels, made a special presentation to a large audience of hotel owners and investors about ‘Mysk by Shaza’ at the Saudi Arabia Hotel Investment Conference (SHIC) in Riyadh. Mysk was voted the winner of The Three Minute Pitch out of the 16 leading brands that participated in the session open for owners and investors only. Saudi Arabia: Shaza Al Madina, member of Global Hotel Alliance and winner of Saudi Arabia’s Leading Luxury Hotel 2018 Award, has announced the successful completion of the first phase of training for the third batch of Shaza Kifah graduates. During the period the candidates underwent an intensive 3-months training in multiple departments based on their interest, experience, knowledge, education and management skills. This marks the beginning of the second phase of the training that will extend over 9 months and will help the participants gain valuable experience in a specific area identified to optimise their potential and learning in the hospitality industry. The candidates have now been placed in various roles ranging from front office to concierge, food and beverage, finance, purchasing and sales departments under the supervision of specialised and experienced associates. Shaza Hotels recently announced the signing of its third Mysk project in the Middle East, Mysk by Shaza, which will find its home in the city’s famous and prestigious Palm Jumeirah. The announcement follows the signing of Mysk Kuwait and the official opening of Mysk Al Mouj in Muscat. This hotel marks a new milestone for Shaza with the entry of the Group into the ever-growing Dubai market that has one of the best performing hospitality sectors in the world. The hotel aims to add a new flavour to the Dubai hotel scene, bringing an intimate and personalised experience for both the corporate market and the leisure market wishing to reside on the landmark Palm Jumeirah. Leading Dubai based realtors, Aqua Properties, are the owners of the hotel. Established in 2005, Aqua Properties strives to provide service of the highest quality to their clients and have built more than a decade of trust with both local and international entities thus leading to their stellar reputation and success. Shaza Hotels, the brand that captures the spirit of generosity, luxury, and refinement of the Middle East, has announced the signing of its first Mysk Hotel in Kuwait. The new property, situated opposite the Messilah beach district on the south coast of Kuwait City, and which is already under construction, will welcome guests at the beginning of 2020, inviting them to experience a new fragrance to upscale hotels. The hotel stays true to the Mysk promise by designing a trendy destination combining urbanity with traditional Arabian hospitality. The Mysk brand puts people at its heart and soul to curate spaces where food, fashion and innovation come together. “Al-Yousifi group is thrilled to be an active player shaping the new face of the Kuwait hospitality market. It’s a promising and very dynamic sector at the moment, with several new developments in the works. We are very confident that Mysk Hotel in Kuwait will set itself apart from the crowd by emphasising bold design, innovative marketing, social influence and world-class hospitality,” said Dr. Adel Al-Yousifi, the owner of the hotel. Shaza Hotels signs with Al-Rajhi Investments to operate two hotels in Makkah and Riyadh. The 251-key Shaza Hotel in Makkah is due to open within the next few months, whilst the 205-key hotel in the capital of the Kingdom, currently under development, is due to open in 2018. Shaza Makkah is located in Jabal Ka’aba with extensive views of Al-Masjid Al-Haram. The guests will be embraced by a sanctuary of calm in the contemplative atmosphere of the hotel rooms, restaurant and the signature lounge. 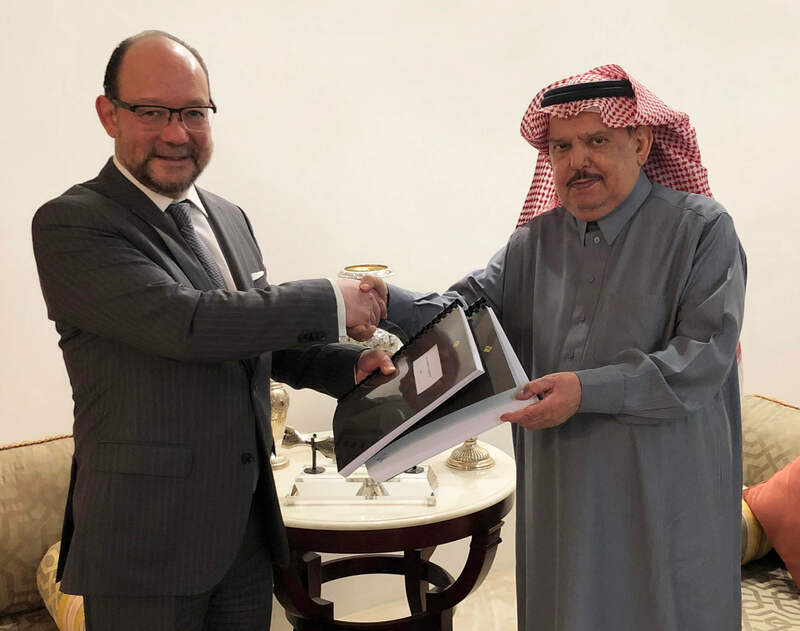 Shaza Hotels signs with Al-Rajhi Investments to operate two hotels in Makkah and Riyadh. The 251-key Shaza Hotel in Makkah is due to open within the next 12 months, whilst the 205-key hotel in the capital of the Kingdom, currently under development, is due to open in 2017. Shaza Hotels is proud to announce the signing of a second management agreement with Taameer Investments on Wednesday 7th May 2014. Located on the prestigious Marina-front of the iconic Omani development, the hotel will offer a unique experience in the Sultanate for guests looking for a contemporary and trendy setting, which at the same time is respectful of the Omani culture. The Marina side of The Wave Muscat will become a major leisure attraction for the local community as well as for tourists visiting the capital. Key demand generators such as the adjacent shopping district and the water-front board walk, with its various dining options, will allow the hotel to attract a very diverse market, creating an important anchor and accessible focal point for the neighbourhood. Simon Coombs, President and CEO of Shaza Hotels, expressed his gratitude to Taameer Investment for entrusting Shaza with yet another project: "This is our second hotel with Taameer Investment. We have first signed a beautiful resort in Salalah which we expect to open in 24 months, and are now keen to manage our partner's innovative 190 rooms hotel which will definitely signify a new stage platform in the Sultanate's hospitality offer." Shaza Hotels is proud to announce the signing of a management agreement with the Jeddah Chamber of Commerce and Industry, of a landmark five star hotel on the Chamber's premises. The ceremony took place on the Sunday 22nd September 2013 in Jeddah and was attended by His Excellence Sheikh Saleh Abdullah Kamel, Chairman of the Chamber of Commerce and Industry, and Mr. Simon Coombs, President & CEO of Shaza Hotels. “Shaza is honoured to collaborate with the Jeddah Chamber of Commerce and Industry as the hotel operator of the much sought after project. The iconic hotel and connected business tower will be considered as a significant development emphasizing the growing business importance of Jeddah, and we are delighted and honoured to be selected as the operator of choice.” said Simon Coombs, President and CEO of Shaza Hotels, at the signing ceremony. Adding to the skyline of Jeddah, the hotel will have cutting edge architecture by Mohamed Harasani Architects and contemporary interior designs reflecting the Middle Eastern Cultures. 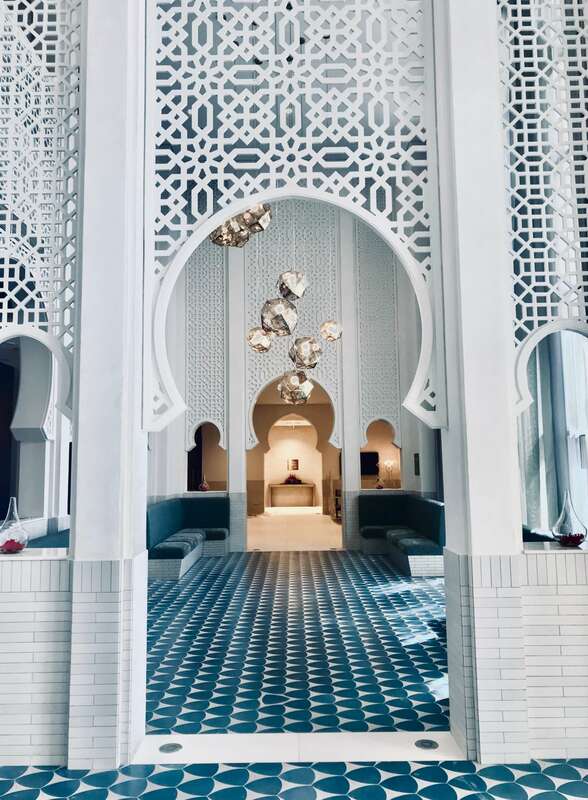 The triple story lobby, the signature Shaza Hammam and Spa, three new concepts in dining, a large ballroom, along with 140 spacious rooms and suites, will offer the handcrafted guest experiences that Shaza prides itself on. Due to open in early 2018, Shaza Jeddah will also cater for the Chamber’s large business meetings and events. Together with two dedicated executive Silk floors and an executive lounge, Shaza Jeddah will position itself as a hub for business. Shaza Amman will be part of an exciting mixed-use complex, featuring a luxurious shopping mall and an office tower. Offering exceptional panoramic views from the heart of the city, the hotel will be the closest downtown five-star hotel to the newly opened Queen Alia International Airport. The 203 stylish rooms and suites hotel, designed by Creative Urban Designs and London-based Fox Linton, is expected to open in the second quarter of 2016. The hotel will offer visitors and locals of Amman a truly unique dining experience. Shaza Amman will boast of the country’s first suspended restaurant, showcasing the regions culture and stunning panorama of the city. Together with two specialty restaurants and an all day dinning, Shaza Amman will offer innovative and pioneering restaurant concepts– establishing itself as “the” trendy dining in Amman. The spacious ballroom with high ceilings and stunning views of the city, provides the perfect settings for weddings and gala dinners for up to 700 guests. Shaza Amman will offer the largest Hammam and Spa in the city, complemented with treatments inspired by the regions’ history of wellness and rejuvenation. Guests will also be able to enjoy a luxurious infinity pool, which sits proudly atop this landmark property, creating a haven of relaxation in the heart of the city. Shaza Salalah will be the most luxurious resort in town, a 10 minute drive from the airport. It offers 80 exclusive villas with their individual plunge pools, 130 rooms and suites, most of which with private plunge pools, and 80 serviced apartments. The resort will also offer 4 dining destinations, a 1500 sqm Hammam & Spa, a 300 sqm Kids’ Club, and 5 private swimming pools for daily rental. The project also holds a separate banqueting hall which can host events for up to 1,000 guests, and a shopping arcade where local handcrafts are displayed. This is Shaza Hotels’ first resort project. The resort is located in the Perfume capital of the Sultanate of Oman, the Middle East’s most talked about growing destination. Salalah is considered to be the region’s best kept secret, described as an oasis of crystal clear water, and a paradise for lovers of diving. Despite being on the border of one of the region’s harshest deserts, Salalah is famous for its green mountains during the Khareef (monsoon) season, thus offering a unique destination for travelers in the region. The hotel will comprise of 180 rooms and suites, with an all day dining, two specialty restaurants, a loby lounge, a Shaza Hammam & Spa, and a business club with several meeting rooms. The building is envisioned to become a new landmark in Doha’s skyline, with the architecture reflecting the Qatari heritage in a contemporary style. This project is expected to open in 2016. This exciting project is located in Doha, Qatar, which will be the home of the FIFA World Club in 2022. The hotel is in the heart of the cultural district of the capital, within walking distance of major tourist attractions, including the iconic Museum of Islamic Art by the famous architect I.M. Pei, the Qatar National Museum by the renowned architect Jean Nouvel and the Souq Waqif. The district is currently undergoing significant infrastructural and commercial development as part of a clear vision to revive the historical downtown, including the development of the Msheireb project, that will include Mandarin Oriental (2014), M Gallery (2015) and Park Hyatt (2016). The new property is situated in the financial district and only 10 minutes drive from Doha International Airport. Shaza Hotels recently announced the opening of their flagship hotel, Mysk by Shaza in Al Mouj Muscat, under the auspices of His Highness Shihab Bin Tariq Al Said, Advisor to His Majesty the Sultan and Chairman of the Research Council. The event was organized by the Golden Group Holding, one of the leading groups in the field of hotel investments and the owners of the hotel. The Grand Opening celebrations commenced with a local band performing Omani folklore while VVIP guests graced the red carpet in the presence of the President, top Management of Shaza Hotels and Mysk by Shaza. At the arrival of His Highness, the ribbon cutting ceremony was held after which Simon Coombs, President of Shaza Hotels, and Sheikh Salim Bin Ahmed Al Ghazali, Chairman of Golden Group Holding addressed the crowds. The grand opening was attended by several senior officials, heads of diplomatic missions in the Sultanate and Omani businessmen.